One minor shortcoming kept us from giving these headphones a perfect score. 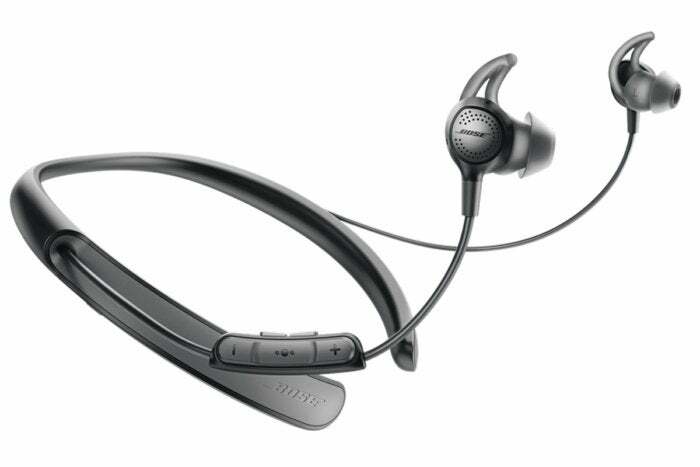 Bose first brought its active noise-cancellation technology to its earphones with its QuietComfort 20. Until then, ANC headphones were bulky affairs. The closest you’d get to compact was if they collapsed down small enough to be jammed into your carry-on bag. Not so the QC 20s. The earphones, with their inline controls and combination battery pack/ANC hardware, were compact enough to tuck into a hip pocket. 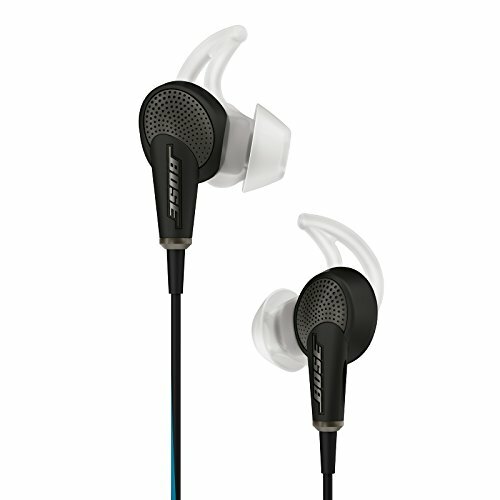 Other companies followed Bose’s lead, introducing similar hardware of their own. Last spring, with rumors swirling that the next iPhone would ship with no headphone jack, Bose saw the writing on the wall: it was time to innovate again. No headphone jack on your new iPhone? No problem. Meet Bose’s QuietControl 30—the company’s first Bluetooth ANC earphones. QuietControl? What happened to QuietComfort?Nothing. If you’ve found the silicon tips of Bose’s other earphones to be cushy in your ear canals, you’ll like the way the QC30s feel, too. This is where the physical similarities between the QC20 and QC30 earphones end. 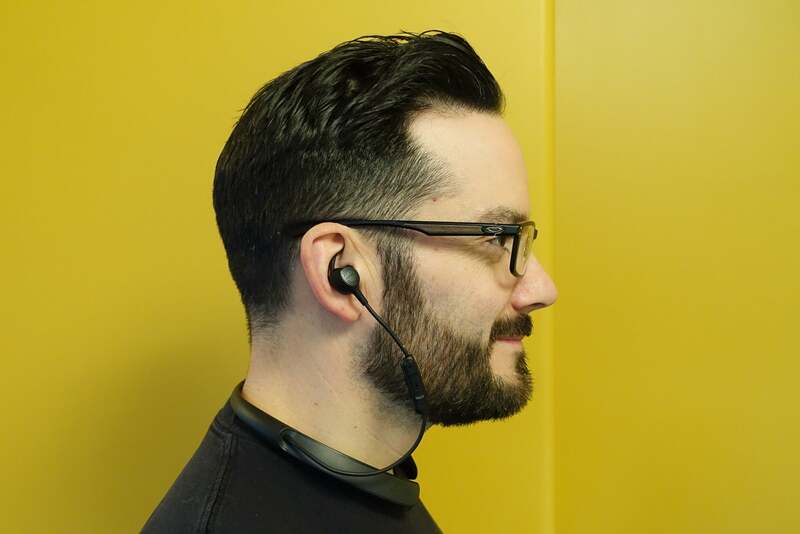 The biggest design flaw that the QuietComfort 20s suffered from was their inline battery and ANC electronics pack: it was prone to snagging on pockets and door handles or getting tangled up in the earphone’s lengthy cables. Bose has eliminated this problem with the QC30s. 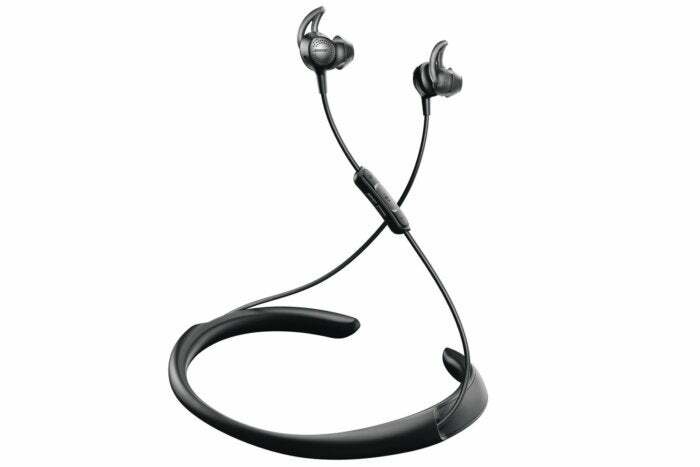 All of the headset’s electronics and battery are contained in a semi-flexible neckband. The only wires in the mix connect the QC30’s neckband to its earphones and, when it’s time to recharge the headset’s battery, a microUSB cable. You might find the combination of the neckband and the cables to be a minor irritant, depending on the size of your neck. Over the course of several months of use, I’ve found that the QC30’s internal battery typically provides an average of eight hours of use before needing to be topped off again. That’s enough to get most people through their day. That Bose was able to pack such a capable battery and the QC30’s noise-cancelling guts into a band that weighs a mere ounce is impressive. Light and comfortable as the QC30’s design might be, however, not everyone will be thrilled with it. I have an 18-inch neck and found that while the neckband didn’t feel tight, it did tend to get shifted around as I moved my head through the day. This caused the wires connecting the earphones to the neckband to get pulled on with an annoying regularity, forcing me to adjust the neckband several times per hour. Individuals with more slender necks likely won’t have to worry about this issue. Unlike their predecessors, which only allowed for noise cancellation to be switched on or off, the QC30s let you dial in how much of the outside world you want to hear. Using Bose’s Connect app (available for Android and iOS,) the QC30’s ANC can be cranked up to maximum, where they work a treat for blocking out the drone of crowds, airplane engines, or vapid coffee-shop banter. Having tested scores of noise-canceling headphones and earphones over the years, I feel confident in saying that the QC30s offer the best in-ear noise-cancellation that I’ve ever encountered. That you can choose to decrease the amount of noise-cancellation the earphones churn out, for the sake of situational awareness or to save wear and tear on the earphones’ internal battery, is icing on the cake. 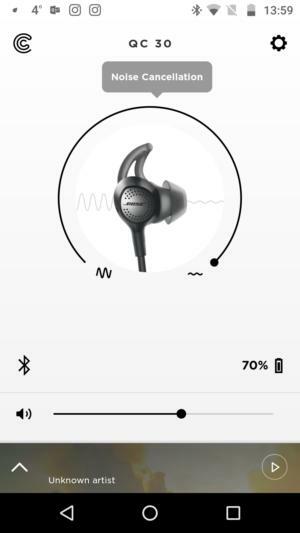 Available for Android and iOS devices, the Connect app allows users to control the amount of active noise cancellation they want as wells as switch between connected devices, share music with other Bose users, and change tracks. The app also allows users to share the music being sent to the headphones with another listener’s device—provided they’re within Bluetooth range. 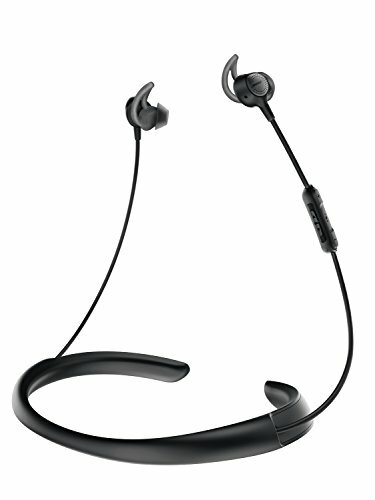 In addition to the control over the headphones afforded by the Bose Connect app, the headset also comes with inline track- and volume-control buttons as well as a microphone for making phone calls or controlling your connected device’s AI assistant, built into the right headphone wire. Blocking out unwanted sound so that you can hear, share, and enjoy what you’re listening to isn’t worth much if the drivers in your earphones sound like hot garbage. That isn’t a problem most people will encounter with a set of QC30s stuffed into their skull. As with their QC35 headphones, Bose uses digital signal processing (DSP) and a variable EQ to sculpt the sound of the music coming out of the QC30s. So the sound of the headphones will change, depending on the frequencies of the music and volume you’re listening at. At a low volume, you get you more bass. At higher volumes, the headphones will produce less low-frequency sound. The result of this tweaking is that at low volumes, you’ll find your music sounds merely acceptable. But at mid to high volume levels, the QC30s provide rich bass, but not too much. Elements with more treble shine, making it easy to pick out each instrument and voice in a song, but are never overpowering. If you listen to jazz, blues, pop, punk or bluegrass, you’ll likely love the noise these things bring. The harmonies and guitars in Bad Religion’s “Los Angeles is Burning,” for example, sounded punchy and crisp, without sacrificing the driving thump of the tune’s kick-drum. And Justin Townes Earle’s “Aint’ Glad I’m Leaving” never sounded more high or lonesome. That said, if you’re into rap, hip-hop, R&B, or dance music, the bass response you’ll get out of the QC30s might not be enough to keep you happy. One of the great things about the majority of Bose’s current lineup of noise-canceling cans is that, should you run out of battery power, they can still play music with the passive noise cancellation provided by the ear cup or tip, in the case of earphones. That’s not the case with the QuietControl 30s because they rely on a Bluetooth connection to your source device. Once the battery is done, they’re done—there’s no way to plug them into a headphone jack. The QC30’s wireless design packs the earphone’s active noise-cancellation circuitry and battery into a comfortable, lightweight neckband. This could be a deal breaker for long-haul travelers or those who regularly forget to charge their gear. If you fall into either of these categories, and have a device with a conventional headphone jack, consider sticking with Bose’s last-generation ANC earphones, the QuietComfort 20s. Aside from their inability to be used without battery power, there’s precious little to dislike about Bose’s QuietControl 30 headphones. Lightweight, comfortable, beautifully designed, and offering excellent sound, they deserve the consideration of anyone interested in a new set of ANC headphones. These earphones would be perfect if there was to use them while their battery was dead.